Preview Evening: Thursday 15th September 6-8.30pm with live music from Las Tordas. At 44AD, 4 Abbey St. Bath BA1 1NN (http://www.44ad.net/). Exhibition continues Thursday 15th-Saturday 17th (12-6pm) and Sunday 18th (1-4pm) September. Workshops 13 & 14 September during exhibition week Email me for details/bookings or an invitation to the Preview evening. “Body of Water” is a collection of my newest works. The first exhibition space contains my flowing watercolours, inspired by the vertical landscapes of Bath’s reflecting waterways and cascading terraces. The second contains recent oil portraits, including my studies of the students of Bath Dance College. I mix pure pigment upon a wetted canvas, promoting the natural running and mixing of paint. I use minerals such as Hematite and Amethyst which granulate and channel like rivers across the painted surface. I have also begun to grind and paint my own ochre pigment from Bath’s own Oolitic limestone. These new experiments at local paint production will be on display. I am giving two workshops at 44AD where participants are invited to share my painting methods. The painting subject matter will be based around the exhibition themes and participants will draw on these for inspiration. My techniques are also shared in my articles for The Artist Magazine. 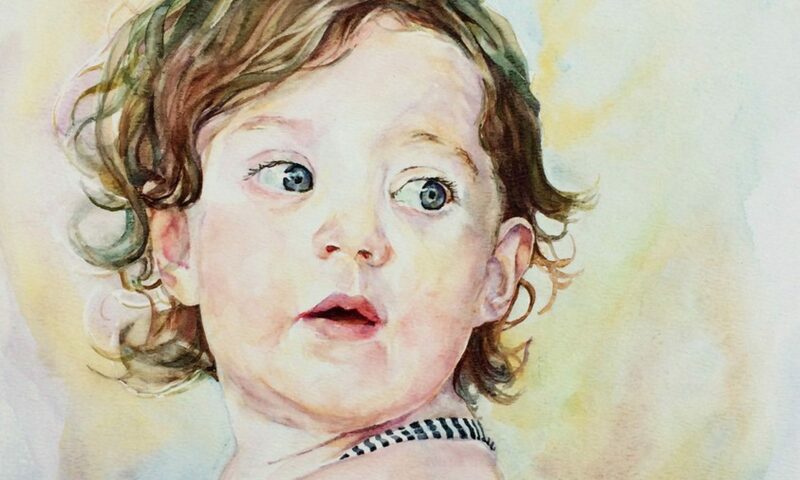 I use my “gravity painting” methods in my portraits too. I have painted portraits internationally for twenty years. They contain intricately varied tones to represent the play of light over faces. My work has sold at regional and national exhibitions including with the Royal Watercolour Society and the Royal Institute for Painters in Watercolour. I am an Associate of the Society of Women Artists. I have placed four pieces in Imagianation Gallery near to the Abbey in Bath. If you are able to get to the gallery, the owner Nicola should be able to help you or I’d be happy to meet you there?